The word ‘pasta’ is an Italian word meaning ‘paste’, referring to the paste like pasta dough made from egg or water and flour. However, before pasta was all over the world, pasta was called ‘maccaronaro’, which means ‘kneading dough with energy’. And even before that, pasta was called ‘Itriyya’ in Arab countries to refer to a type of pasta called Vermicelli, which is a long-stringed, flat pasta. ; and called the Latin word ‘lagana’ in Ancient Greece to refer to a type of pasta somewhat resembling Lasagne. Little did we know that pasta used to be sweet! Interestingly, it was the Arabs that brought pasta to Italy, called ‘Itriyya’, first to Sicily in Italy. Because of its Middle Eastern origins, pasta used to have Middle Eastern flavours such as raisins and cinnamon. When pasta was first introduced to Sicily, we wonder whether the Arabs knew what a pasta revolution they started? Before this it is believed that the Ancient Romans and Greeks ate pasta called ‘lagana’, which is a version slightly similar to our pasta called Lasagne. Lending to this theory, during this time a tale arose in Greek Mythology that the god Vulcan pushed dough between a machine to get thin edible threads. Luckily for Italy, the durum wheat pasta is made of was well suited to the Italian climate. This was the beginning of the spread of that amazing food we know so well throughout Italy. As pasta was more spread throughout the beautiful country of Italy, the cheaper pasta became for everyone to buy: both rich and poor. In the 17th Century, Neapolitans were known as ‘maccaronaro’ – meaning macaroni-eaters, where both the rich and poor ate the sweet dish. Before the 17th Century, what we know as pasta was eaten by only the rich, but from the 17th to the 18th Century pasta was known as a staple food in Naples. It was so ingrained in the food culture of Naples that beggars in Naples, named ‘lazzaroni’, were even known to beg for their 4-5 coins a day, only to finish begging when they had enough to get their ‘maccaronaro’ for the day. To further aid the spread of the amazing staple dish to other cities in Italy, production machines were created. 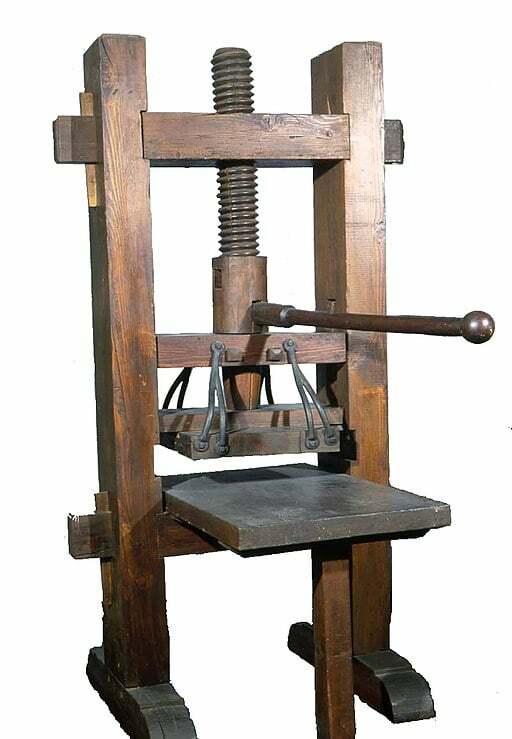 The invention of a pasta machine called ‘torchio’ began in the 17th Century, which helped to spread the famed food far and wide. During this time when pasta was beginning to spread from Naples to the rest of Italy, Thomas Jefferson , who was the Ambassador to France from the USA, ate his first ‘maccaronaro’. It was love at first mouthful! He was so captivated by the pasta that on his next trip back to America he made sure to take some back with him, and when he ran out he asked his friends in Naples to send more over! This started the revolution of pasta throughout America. He was so enthralled with pasta that he even invented the pasta making machines in the US. Before the 19th Century, tomatoes in Italy were seen as Satanic because they were red, and were believed to be poisonous. Regions in Italy all had their own vegetables, and therefore did not want to try the horrid tomato even though it was introduced into Italy in 1548. It wasn’t until new scientific evidence showed that tomatoes actually aided in digestion that Italians started eating tomatoes. Thus began the marriage between tomatoes and pasta – what pasta is best known for today in Spaghetti Bolognese or Ragu. Currently pasta is being mass-produced internationally because of its popularity all over the globe. However, if you want authentic pasta, head to Italy. Italian factories dry pasta for much longer (up to 50 hours) for a better quality pasta, and give the pasta its unique ridges (using copper molds that are more expensive and more prone to wear and tear) to absorb sauce best. An interesting fact is that pasta in Italy, because of being dried for such a long time, takes much quicker to cook. In other countries pasta is dried more quickly and cut using steel moulds, which means that pasta do not have those significant ridges and won’t absorb sauce as well. Italians consume 90 grams of pasta a day, while Americans consume 20 grams of pasta a day. Can you see the significance of pasta to the Italians in these statistics? That is why it is so important that pasta is made authentically in Italy. If you want to know more about Italian pasta, check out our post on how to make your pasta to perfection, and 6 top tips to cook your pasta to perfection. Have we inspired you to go on a journey to Italy to taste authentic pasta? 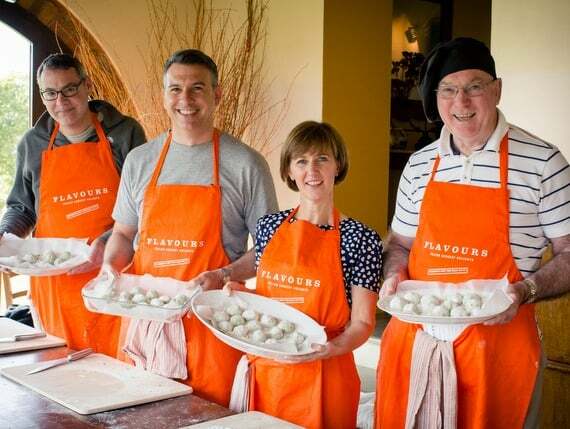 With Flavours Holidays you can go to various locations in Italy on a cooking holiday to learn how to make pasta for yourself. 10 Amazing Dishes To Try In Tuscany!